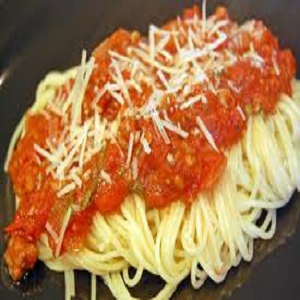 Pasta is a very versatile dish and can be made with a number of sauces. This sausage sauce recipe first browns the sausage and then simmers it in a delicious tomato sauce, giving it a distinct flavour. The onions, garlic and tomatoes give it a rich taste. The recipe is a keeper and will impress your family and friends. Be ready to give out second helpings. The pasta will be delicious with bread on the side. So take out the ingredients and get started. Take a sauce-pan, preferably heavy bottomed. Pour the half cup olive oil in it and turn the stove on medium high. Let it heat for a minute. Add the chopped carrots and onions for a little time. The onions should get translucent, do not let them brown. Now add in the garlic and tomatoes and let them simmer. Keep the stove on heat for 30-45 minutes and let it cook without any lid on. The sauce should reduce a little. If you want the tomatoes to be smoother, take a wooden spoon and mash the tomatoes when the sauce is simmering. Side by side, cut the sausage. Take some olive oil in a different skillet and brown the sausage in it. When it is browned, remove it from heat. Then drain the sausage and put it on the side. Meanwhile, when the sauce has been cooked, take it off from the heat and put it in a food processor to make it into a puree form, this will make it smooth. Put the sauce in batches in the processor. After the sauce has been pureed, put it back in the pot. Take the browned sausage and add it in the sauce. Let it simmer on heat for 20 minutes more. Add in sugar and salt according to taste. Side by side in another pan, cook the pasta according to the directions on the packet. The pasta can be of your choice, fettuccine works great here. Either put the sauce on the cooked pasta or toss the pasta in the sauce.